YaleNet - Smart Matters - Yale Alumni Runners Trip to New Zealand! Depart from the US the evening of 8/12 and return on 8/22. In addition to running a race, we plan to visit NZ's famous winery, hike on glaciers, ride tubes through caves and explore all that the beautiful country of New Zealand has to offer. Enclosed is the planned itinerary, which is subject to change depending on weather conditions, etc. 8/14: Fly into Auckland and connect to Blenheim in the South Island. Visit NZ's biggest (and most famous?) winery. Weather permitting, drive to Picton for brief boat ride and have dinner in Pichton. Spend night in Blenheim. 8/15: Drive to Kaikoura, visit seal colonies (free) and go whale watching (optional). Then drive from Kaikoura to Hanmer Springs (2 hrs), New Zealand's version of an alpine town; evening in beautiful natural thermal hot springs. 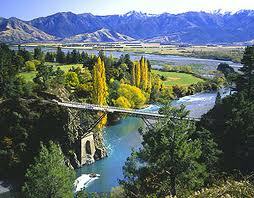 Spend night in Hanmer Springs. 8/16: Drive over Southern Alps via Arthurs Pass (3.5 hrs; highlights include Lord of the Rings setting, information center at Arthurs Pass, and amazing road down). Drive up West Coast (2 hrs) to stop at Punakaiki (amazing Pancake Rocks). Drive from Punakaiki to Hokitika. Spend night in Hokitika. 8/18: See Hokitika Gorge. 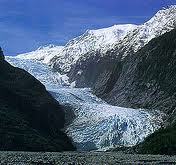 Then drive to Franz Josef Glacier.Half day hike on Franz Josef Glacier for hike on glacier. Optional: pay for a guided hike ON TOP of the glacier (range of tours possible, including helicopter flights up onto glacier... $$ to $$$$). Drive to Queenstown and spend night there. 8/19: Day-long tour to Milford Sound in the Fjordlands, a UN World Heritage site. Spend night in Queenstown. 8/20: Any of the amazing things Queenstown proper has to offer skiing, bungee jumping, aerial tramway up the mountain, botanic gardens, jet boating, lazy afternoons by a fire, paragliding, hiking, etc. Take afternoon flight to Wellington. Spend night in Wellington. 8/21: RACE DAY & Celebratory/Farewell Dinner. Spend night in Wellington. 8/22: Return flights to US, arriving in US on 8/22. 8 nights accomodation (based on double occupancy), return airport transfers in Wellington. Guide/Driver and vehicle, including gasoline costs from Blenheim to Queenstown (from 8/15 to 8/20). 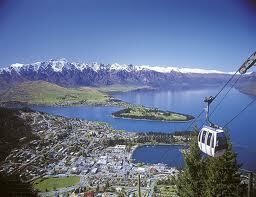 NZD$2037.07 ( approximately USD$1619.99) per person. For international flight reservations (including to Blenheim on the first day), please ask Chrissy for any specials. Also, Air New Zealand is offering a package for about $1591 to/from the US. Please contact David Moreno (800.262.1243, x 56559) with Air New Zealand and ask for the Yale Alumni Group package.